It is the year Correct Century 2345, and technology has devolved to the level of World War I. Long ago, mankind used to travel and develop in space. However, the memories and civilizations of space are long forgotten. The remaining advanced civilizations called the Moonrace still exist, and plan to retake the Earth for its resources out of desparation. 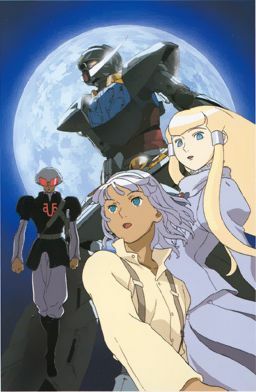 Loran Celack, Fran Doll and Keith Laijie are three Moonrace teenagers who are sent to Earth to spy and observe the planet, and are followed two years later by an invasion by the Dianna Counter forces. After mankind's first journey into space Five Thousand years ago, yet another war threatens to reignite between Earth and Space. Loran develops a bond with the Earth and its people and makes a decision to defend it with the infamous "Turn-A Gundam." Hoping to create a peaceful resolution between the Earth and the Moonrace. However, the conflict threatens to make a Dark and forgotten history repeat, and also awaken the same terror that dramatically changed civilization many eras ago.